It is no secret that I enjoy luxury travel and doing so does not always mean paying a huge price for it. 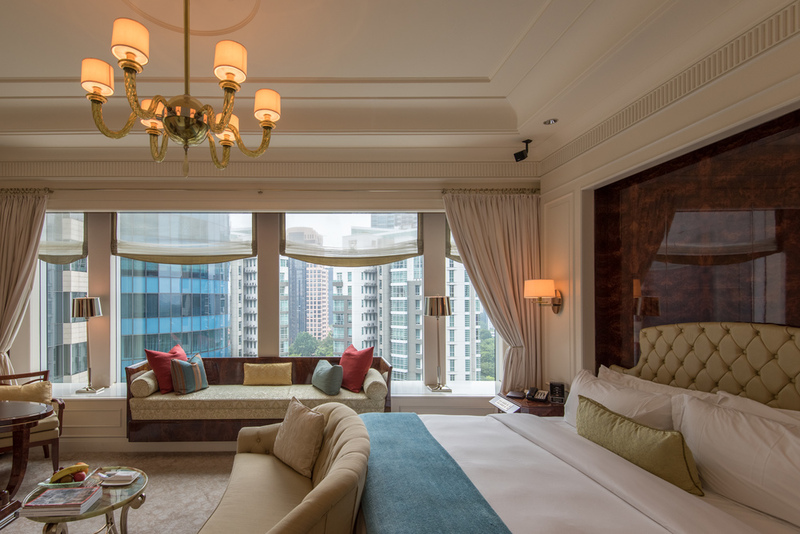 Sure, luxury hotels and business (or even suite) class tickets do not come cheap but they are highly attainable (even more so than you think!). I've put together a list of things you can easily do to earn more miles for 2016 - it is one of my new year's resolutions and hopefully by the end of this article, it will be one of yours too! Most of the people I know hang on to their cashback credit cards like it's their baby. Actually, it kind of makes sense for people with children. However, if like me, you are lucky (or unlucky) enough to not have kids, ditch your cashback credit cards. Seriously, do it - invest in yourself and your relationship instead. The best credit card in Singapore gives up to 7% cashback (up to S$60) each month. In order to earn S$60 on the Standard Chartered SingPost Platinum Visa Credit Card each month, you will have to spend approximately S$857 online. Even at maximum exploitation, this equates to just S$720 a year. Sure, that sounds like a lot of money upfront but S$60 a month isn't going to change your life. If you enjoy the wonders of Business Class travel at a tiny fraction of the cost, read on! Spending S$857 a month equates to S$10,284 a year. If you put this spending wisely (to the right credit cards), you can easily earn at least 40,000 miles (instead of S$720 in rebates). A business class return-ticket (yes both ways) to Hong Kong on Singapore Airlines will cost you only under 47,000 KrisFlyer miles. This exact flight will usually cost you approximately S$2,200 dollars if you book in advance! So you are 7,000 KrisFlyer miles short of the calculation above but fret not because this is only just ONE credit card of the many (hopefully!) you hold and there are other ways below to earn more miles. Earning miles and points are great as an ongoing activity but be sure to take advantage of sign-up bonuses that banks and credit card companies run from time to time to truly max out those opportunities for free premium cabin travel. Once you have accrued enough, convert your Chase reward points or miles to a frequent flyer program of your choice and let the magic happen. For a rough guide on how many points you require, I highly recommend checking AwardHacker out! Spending on Hotels is an Investment! 2. No Hotel Loyalty Status can be a Good Thing! Well in all honesty, having elite status in a good loyalty program is ALWAYS a good thing. With all that being said however, you get locked in this endless chase for obtaining and retaining status. When you do not have elite status in a hotel program, there is little incentive to book direct which means you can use OTAs like Kaligo (which gives up to 10 Miles per S$1 on top of your credit card spend) and discount codes on other OTAs (like Expedia, Booking and god-forbid Agoda). Use the following combination for up to 12 miles per S$1 spend on hotels. Citibank PremierMiles Credit Card: 1.2 Citi Miles per S$1 OR 2.0 Citi Miles per S$1 (in foreign currency). Assuming you spend $2,000 to S$5,000 on hotel bookings per year, this can easily translate to 24,000 to 60,000 additional miles each year! Remember, you may earn up to 6 miles per S$1 on your Expedia spend too (book your flights here)! Remember to check out RocketMiles for hotel reservations too! Using online shopping portals like the KrisFlyer Spree allows you to earn BONUS miles on online purchases (yes, this is on top of your 4 miles per S$1 from your credit card). For example, if you spend S$1,000 (approximately US$700 at time of writing) on HipVan, you will earn 4,000 miles from your credit card and an additional 3,220 miles from using KrisFlyer Spree. By spending S$1,000, you will earn 7,220 miles (equivalent to 7.22 miles per S$1) if you go through the right channels. In contrast, if you were to spend it on your Standard Chartered SingPost Platinum Visa Credit Card, you will only earn S$60 back in rebates. I get a cup of coffee everyday on my way to work and I've always paid by cash. Assuming your coffee is S$5 a cup, you will be spending at least S$1,305 this year (since there are 261 weekdays) for your caffeine fix. If your coffee shop or cafe accepts Visa PayWave, use the UOB Preferred Platinum Visa Credit Card for 20 miles per S$5 - that's an additional 5,220 miles a year just for coffee! Volunteer to get coffee in the morning for a couple of your colleagues and voila, you have yourself a steady stream of caffeine-infused miles. First Class to Hong Kong is much more affordable than you think! You can easily apply for credit cards and purchase 55,000 to 80,000 miles each year for approximately S$1,045 to S$1,580 each year. To find out how to do that (and which credit cards to get) in Singapore, check out my previous article! If you are thinking why on earth would anybody do that, here's an example (and probably one of my favourites!) for you. Suppose you are extra fancy and you want to celebrate an important milestone (e.g. honeymoon, anniversary or simply just a trip to indulge in), the flight to Hong Kong from Singapore (SQ863) on Singapore Airlines Suites (as shown above) will cost you 63,750 KrisFlyer miles and approximately S$74 in taxes. In comparison, the same flight will cost you approximately S$4,323.80 at the time of writing. This essentially means that after subtracting the applicable taxes, 63,750 KrisFlyer miles is actually offsetting S$4,250 of the total cost (1,000 miles = S$67). Therefore purchasing 55,000 miles at S$1,045 when it is essentially worth S$3,667 is definitely a great deal IF you have a plan for it (which brings me to my next point). You know what people say about how if you fail to plan, you plan to fail? Well, turns out there is some truth to that after all. If you are aimlessly collecting your miles, you will lose the motivation after a while. Cash backs are great because you generally reap the rewards on a monthly basis but with miles accrual, the payback period is a lot longer (albeit being a lot greater). Study the redemption charts on your airline of choice (remember examples showed here are only for Singapore Airlines) and know what are you saving for (especially when you are saving for two). Give your partner a supplementary card and make sure you both contribute to the same pool of miles. Remember, traveling in the Business Cabin by just going about your day to day life is easy when you put some time and effort into it.